Prelude with permethrin is an excellent general use indoor/outdoor spray that's labeled for flea-control (broadcast application) and for indoor bed-bug abatement. Prelude is an effective termiticide that may also be used to control ants, bat bugs, cockroaches, ticks, flies and dust mites. For effective, residual control of a permethrin insecticide with an improved formulation, expanded use labeling including termites and fleas, and easier handling. May be used to control pests inside and outside of homes and buildings, lawns, shrubs, bushes, ornamentals, outside surfaces of buildings, post-construction (termites), pre-construction (termites) May be applied inside homes and businesses on most nonfood areas, carpeting, pet beds, upholstered furniture, basements, attics, crawlspaces, wall voids, cracks and crevices around sinks and appliances and flooring. For outdoors on siding, wood, grass, bushes, shrubs, ornamentals. For effective control, the insecticide emulsion must be adequately dispersed in the soil to establish a barrier between the structure and the termites in the soil. 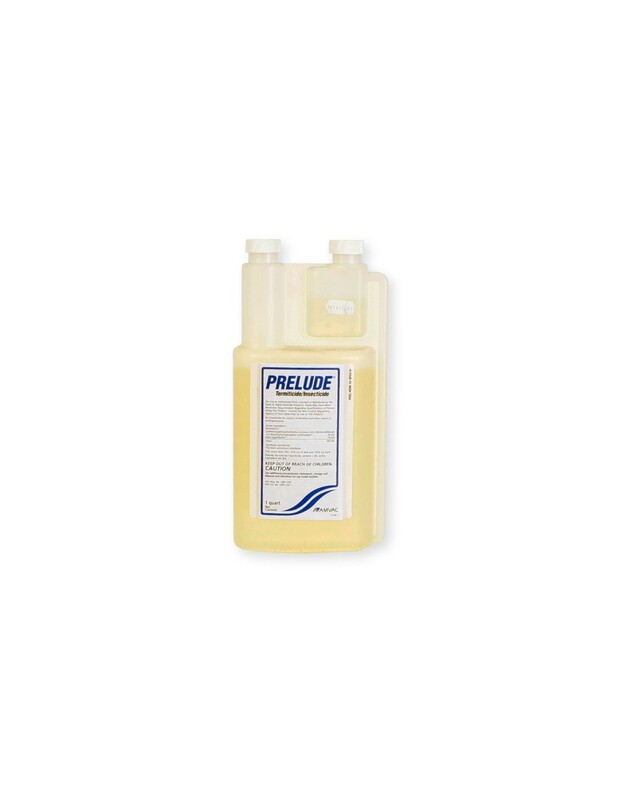 Prelude is a broad label insecticide as well as a very effective termiticide, for use in and around homes, on lawns and shrubs. Prelude is professional grade, low-odor product that is labeled to include everything from pre- and post-construction termite treatment, indoor and outdoor pest control, and turf and ornamental applications. Areas treated as labeled are safe to return to after area is completely dry. Product should not be sprayed or applied directly to animals, feed, or drinking bowls. 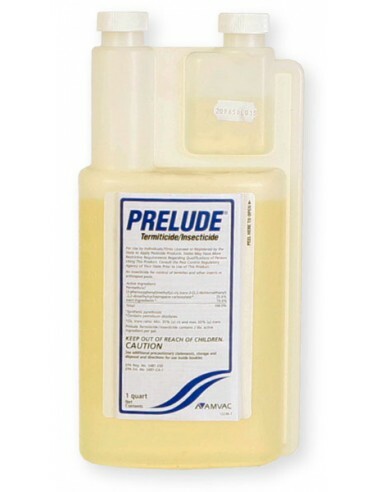 Prelude is considered safe for carpeting, furniture and flooring when used as directed on the label instructions. Permethrin provides fast, effective, long lasting control for over 75 different types of pests both indoors and outdoors. Is pet safe when dry and used as directed on the label instructions. Insecticidal barrier against a broad range of insects such as ants, bees, fleas, aphids, beetles, ticks, roaches, and chiggers. Also used to control and prevent subterranean termite infestations in and around structures.